This year Sarah chose Buca di Beppo for her birthday dinner. This afternoon Derek, Crissy, Jake and I joined Sarah for a fantastic Italian dinner. We shared garlic bread, lasagna and prosciutto stuffed chicken. I had a sangria. 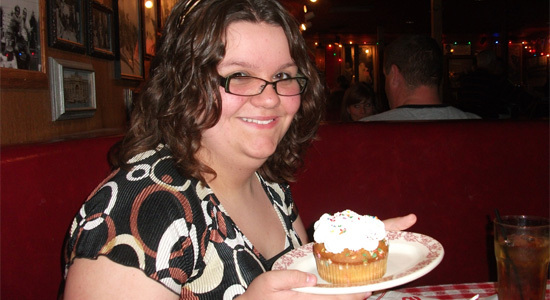 And for desert Sarah had a Buca cupcake, which we shared and we had cannolis. It was the first time I had ever had a cannoli. I really liked it. I'll have to keep an eye open for it on the menu again. The five of us had a great time together for Sarah's 13th birthday. My little girl is now a teenager. Check out all the pictures from Buca di Beppo.